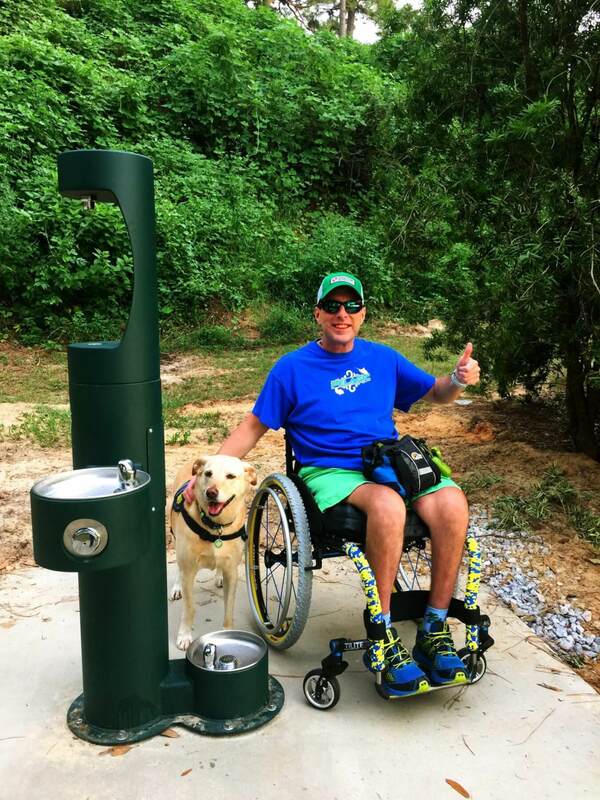 Dogs and their people now have a better way to stop for a “paws” that refreshes, thanks to a new combination people-and-dog water fountain at the Fairhope Pier Park. The new fountain is next to the sidewalk, under the bluff, on the South Beach side of the park. It’s the first of several to be installed around town, said Chris Riley, chair of the City’s Bicycle-Pedestrian committee. 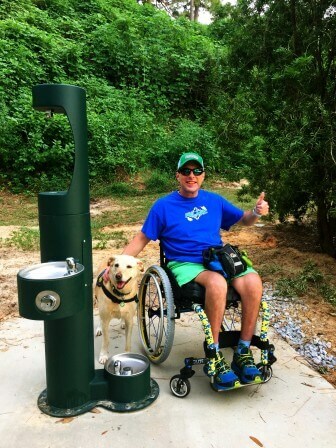 Fairhope Bike and Pedestrian Committee member Chris Riley with his dog Tonya at the new dog-and-people fountain. Bob Nemens, with the Dog Park Coalition, says his group was happy to fund the first fountain. The Bicycle/Pedestrian Committee determined seven key areas for additional units, Riley said. Mayor Tim Kant notes that the new fountains are in line with Fairhope’s goal of encouraging more people to get outside for exercise.